Rolling Meadows, ILL., USA – December 17, 2012 – Sharon Bagby, Marketing Coordinator at Spartanics, is saying her final goodbyes as she departs the company after 17 years for a well deserved retirement. Mrs. Bagby began her career at Spartanics back in 1995 and has been a tremendous asset to the Spartanics Team. “I will miss all the employees I have worked with and all the contacts that I have made throughout the years,” stated Sharon when asked what she will miss the most about Spartanics. “Sharon was the hardest working person in the building on any given day. She added so much value that replacing her skill set will be impossible. I am so happy that she is finally going to be able to relax and enjoy her retirement with family and friends in Florida and Illinois,” says Mike Bacon, VP Sales & Marketing. 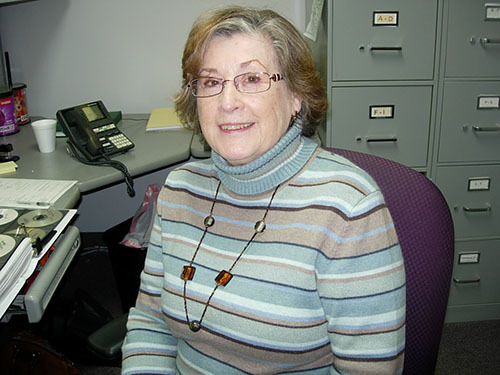 Sharon Bagby’s last day at the company before exiting for retirement is Friday, December 21st. Feel free to contact Sharon within this next week to wish her all the best! Mrs. Bagby worked for the company for a little over 17 years and never called in sick! We cannot thank her enough for all her hard work, dedication and loyalty to Spartanics throughout the years. The entire company will miss Sharon! We wish her all the best in her new adventures! She does live relatively close to the company and plans on stopping in to visit us. “I’ll be back,” she says!